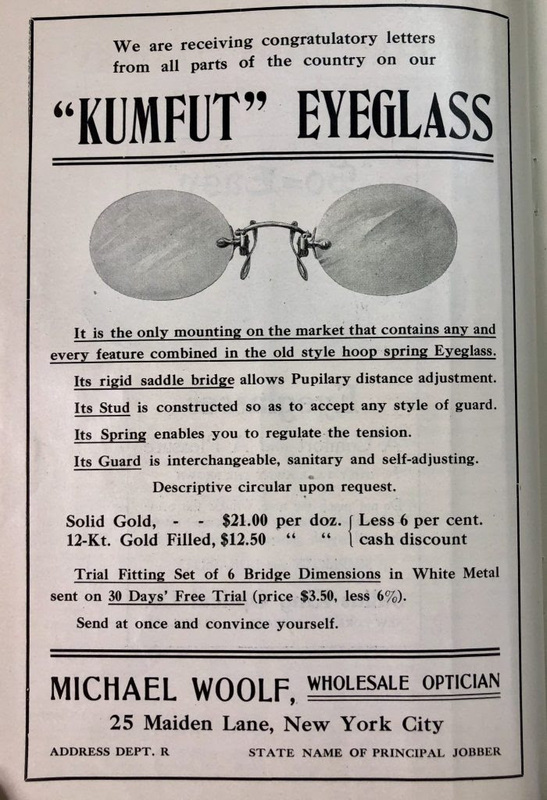 I was handed down a copy of The Optical Journal from 1908, which was passed down from my Clinic Manager’s previous generations who all took pride in their professions in the Optical industry. I have a sense of pride in being able to read this publication, knowing the history of those who have previously read it and deemed it important enough to keep and pass down after all of these years. We work in an industry that changes people’s lives for the better and I too would hope I could pass such a book of rich history down another generation to someone who would appreciate it as much. According to the Review of Optometry, this publication was originally created in 1891, known as The Optician, to meet the needs of refracting opticians. After a short hiatus from its earlier version, in 1895 The Optical Journal, is introduced. In 1910 The Optical Journal and Review of Optometry becomes a consolidated publication when the journal absorbs a three-year old publication The Optical Review. Last edited by Chris Ryser; 02-06-2019 at 06:33 AM. That's a lot of timeless wisdom there! And some not so timeless. I'm a "travelling optician" but I'm not irresponsible! I've got the license to prove it! Lol! ..................aren't you lucky to live and work in anno 2019, ..........................and not in 1907 travelling on horse and buggy 112 years ago ? Last edited by Chris Ryser; 02-10-2019 at 02:57 AM. This one is a gem, a letter written by Charles Prentice to the editor a magazine, correcting their published errors. 100-year old scotch found in Antarctic!